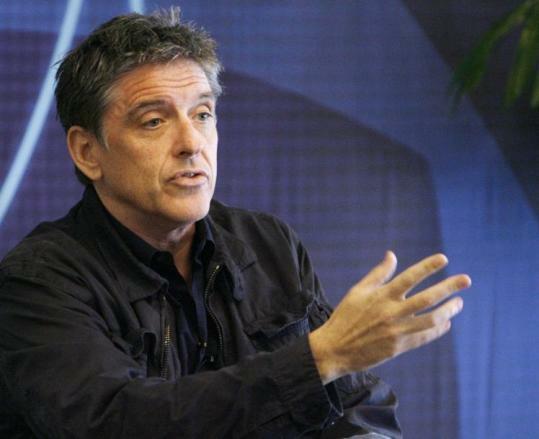 PASADENA, Calif. - Craig Ferguson jokes that he’s looking forward to reading his autobiography, “American on Purpose: The Improbable Adventures of an Unlikely Patriot,’’ out Sept. 22. “It’s just the story of how I ended up here, which surprises me as much as anyone,’’ he said to television reporters at their biannual gathering here. The host of “The Late Late Show,’’ which airs at 12:35 a.m. weeknights on CBS following “The Late Show With David Letterman,’’ is a native Scotsman and he spoke of the mixed feelings of great pride and melancholy he felt upon becoming a US citizen last year. He confessed a half-blissful, half-frustrated ignorance of the way ratings work and a continued admiration for his boss and lead-in, Letterman, whose production company produces Ferguson’s show.